The most common cause of snoring is a partially blocked airway that occurs when your soft palate relaxes at night narrowing your throat. Anti-snoring pillows use different techniques to give your head and neck enough support to keep your airways open. Let’s discuss the Science of Sleep Snore No More Pillow. The Science of Sleep Snore No More Pillow is available from several online retailers, including Amazon. 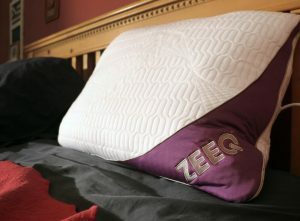 Available for $40, this pillow is a low-cost alternative to several other anti-snoring pillows on the market. Designed by a doctor, this pillow claims to be the #1 selling anti-snoring pillow. Included in your purchase is a zip off pillow cover. The Snore No More pillow also fits into any standard pillow case. 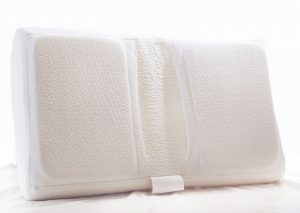 The Snore No More pillow is made from a firm polyurethane foam, which provides your neck and head with a firm support. The material is antimicrobial and hypoallergenic. The Science of Sleep Snore No More Pillow is similar in design to the Sharper Image anti-snoring pillow. Like most anti-snoring pillows, the Snore No More pillow gently tilts your head back so your chin does not slump forward. By keeping your head tilted back, your airways remain open and your snoring is either eliminated or significantly reduced. 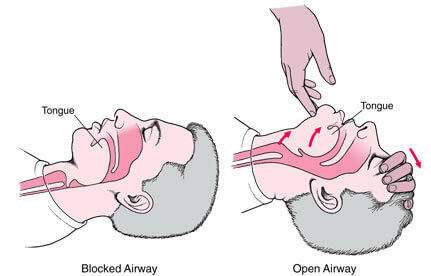 The process of tilting the head back to open airways is not a new concept. In fact, you can see from the above picture that the pillow works in the same way that CPR is used by medical professionals. By tilting the head back and lifting the chin, your airways open to allow for easier air passage, quieter sleep, and enhanced nighttime breathing. When I first received the Snore No More Pillow, I thought it looked like a normal contour pillow, which I must admit was disappointing. Here’s what a normal contour pillow looks like. You can see it is made of a foam material and is rounded on the both the top and bottom. After taking a closer look at the Snore No More Pillow however, I noticed its contour is a triangular shape and is more defined. This sharper contour tilts your head back further than most contour pillows and keeps your airways open. Unlike most contour pillows, the Snore No More Pillow is not made from memory foam. Memory foam allows your head to sink into the pillow during the night, eliminating the tilt needed to stop snoring. Instead, the Snore No More Pillow is made from a firm foam that ensures your head tilt remains firmly in position during the night. It took me some time to get used to the firmness of this pillow. I’ve tried hard pillows, but this one is extremely firm. I was never fully comfortable with the fit and feel of the pillow. I turned on my SnoreLab app on my phone to record and track my snoring for the night and fell asleep. I woke up once during the night, but could fall back asleep quickly. When I checked the SnoreLab app in the morning, I was pleasantly surprised to see that the pillow had a positive effect on my snoring for the night. My snoring score dropped to 10 the first night and my total snoring percentage when down to 8%, which is comparable to the best anti-snoring pillows I’ve used. I decided to continue using the Snore No More pillow for a few more nights to see if the first night’s results could be repeated. The second night of use saw the number of snoring events and the decibels return to normal, as if I was not using any anti-snoring device. A complete miss. I also noticed that the pillow was too small for my head. The pillow has a crevice in it where your head is intended to rest at the optimal tilt. The crevice is on the smaller side and my head did not rest comfortably in it at the optimal tilt. I would not recommend the Science of Sleep Snore No More Pillow as it is an unreliable method of reducing snoring. Low cost. This is a low-cost pillow, so if you are interested in testing it out, you won’t lose too much money if does not end up working for you. Good for Mild to Moderate Snorers. Because of the gentle tilt of the head, if you are a mild to moderate snorer, this pillow might work well for you. I don’t think this pillow will work for heavy snorers. Works with Other Devices. The Snore No More pillow is non-invasive, so it can be combined with an anti-snoring mouthpiece or another device to reduce snoring even further. Too Firm. I’ve slept on firm pillows in the past, but this one is too firm to be comfortable. Easy to Flip. The Snore No More pillow can flip over easily during the night. Additionally, your head position can become misaligned with the tilt, making your sleep uncomfortable and not relieving your snoring. Inferior Quality. 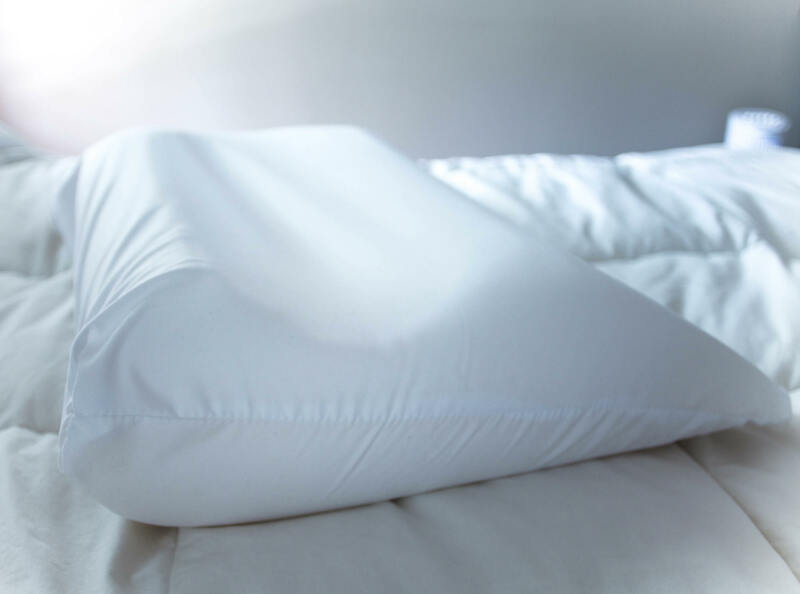 The Snore No More pillow is made from a low-quality foam. Don’t purchase this pillow thinking it is made from a quality memory foam or down feathers. 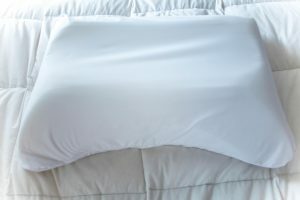 Reviewers have also stated that over a period of 4-6 months, the pillow tends to flatten, making it less effective and needing to be replaced. Poor Reviews. This pillow has limited good online reviews, which confirms my poor experience. 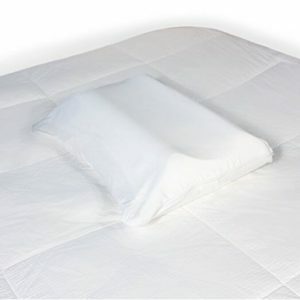 Reviews run the range from the pillow making no difference in snoring to causing neck pain. Non-Refundable. Most sellers will allow for a return of their product if you’re not satisfied. This is not the case with the Snore No More pillow. I have tested many anti-snoring pillows and unfortunately, most anti-snore pillows that are not smart pillows will be inconsistent in decreasing snoring. The Nitetronic goodnite pillow, a smart pillow, worked best for me because it was consistent and effective. I did not find that to be the case with the Snore No More Pillow.